Israel Adesanya has shown respect for Kelvin Gastelum following their incredible fight at UFC 236. 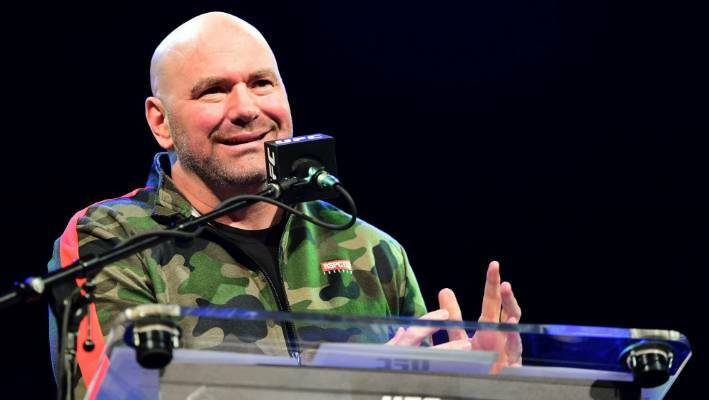 UFC President Dana White has declared Israel Adesanya’s UFC title victory one of the greatest fights he’s ever seen as he announced a unification bout with Robert Whittaker will take place in Australia. 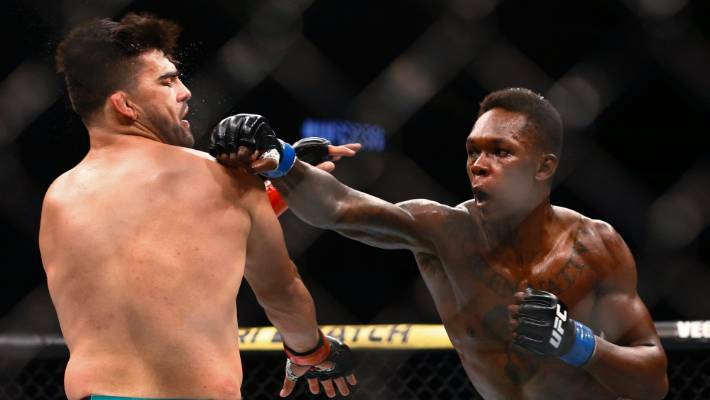 Adesanya earned the UFC interim middleweight belt in a fight of the year contender against Kelvin Gastelum at UFC 236 in Atlanta early on Sunday morning (afternoon NZT). There is no date or venue for the fight between Whittaker and Adesanya but White, who also compared Adesanya’s rapid rise and huge following in the UFC to controversial former featherweight and lightweight champion Conor McGregor, said it was a “stadium fight, not an arena fight” and confirmed it would be Adesanya’s next bout. “Forget the United States, we’re going to Australia with this fight. It will be massive,” White said. Adesanya, who spoke after White, hit back saying the trans-Tasman clash should be in Auckland but that seems unlikely. 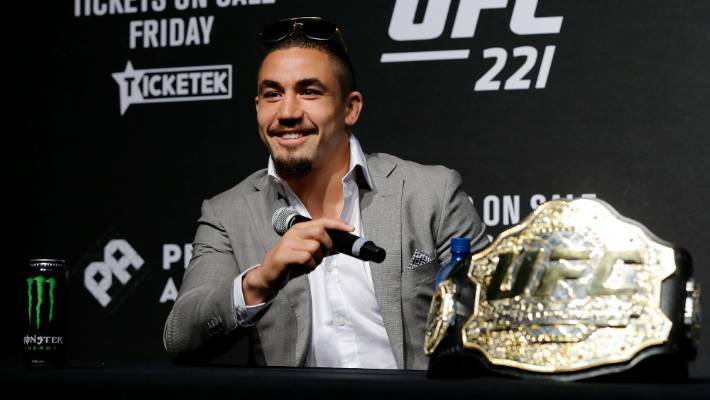 UFC middleweight champion champion Robert Whittaker will fight Israel Adesanya in a unification bout in Australia. “It could be in Australia but I think Auckland is a viable option also. We can push back and forward,” he said. Whittaker, who is proud of his Māori heritage, was born in Auckland but moved across the Tasman at a young age. “One of the biggest sporting events in Australasian and Oceania history,” Adesanya said when asked how big the fight will be. White confirmed the middleweight unification fight will be a pay-per-view card. “Israel’s flashy, Israel’s a good looking kid, Israel speaks really well, Israel became a star tonight,” White said. UFC President Dana White confirmed the middleweight unification bout will be held in Australia. “You know who he reminds me of? Connor McGregor. “Israel Adesanya is on that same trajectory right now,” White said. “People are going to be talking about that fight for a month. “It was seriously one of the greatest fights I’ve ever seen,” White said. Whittaker took to Twitter immediately after Adesanya’s win to congratulate him on the victory and signed off with: “See you soon”. Adesanya holds zeros concerns about fighting Whittaker in a unification. “I know for a fact I’m the best in the world,” he said following his interim title victory. The fight is likely to take place this year but Adesanya did confirm he would be taking a short break. He revealed he took a knee injury into the fight and he left it with significant swelling all over his face and a sore foot. Gastelum is understood to have been transported to hospital for treatment to cuts on his face. Predictably, Adesanya won a A$50,000 ($73,942) bonus for fight of the night but in an unusual move, the UFC gave a second bonus to Dustin Poirier for his victory in an almost as equally entertaining main event victory over Max Holloway for the interim lightweight title.